Current theories on the creation of the Universe state that, if it was created at all and didn't just start, as it were, unofficially, it came into being between ten and twenty thousand million years ago. By the same token the earth itself is generally supposed to be about four and a half thousand million years old. Archbishop James Usher (1580-1656) published Annales Veteris et Novi Testamenti in 1654, which suggested that the Heaven and the Earth were created in 4004 B.C. One of his aides took the calculation further, and was able to announce triumphantly that the Earth was created on Sunday the 21st of October, 4004 B.C., at exactly 9:00 A.M., because God liked to get get work done early in the morning while he was feeling fresh. Firstly, that God moves in extremely mysterious, not to say, circuitous ways. God does not play dice with the universe; He pays an ineffable game of His own devising, which might be compared, from the perspective of any of the other players, to being involved in an obscure and complex version of poker in a pitch-dark room, with blank cards, for infinite stakes, with a Dealer who won't tell you the rules, and who smiles all the time. 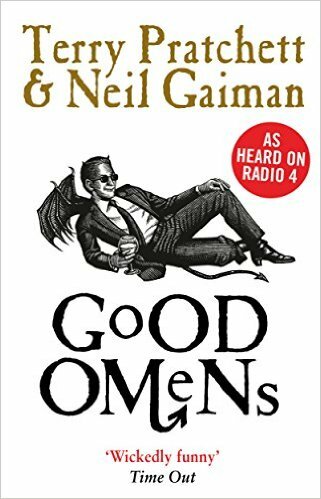 The book is a comedy about the birth of the son of Satan, the coming of the End Times, and the attempts of the angel Aziraphale and the demon Crowley to avert them, having become accustomed to their comfortable situations in the human world.